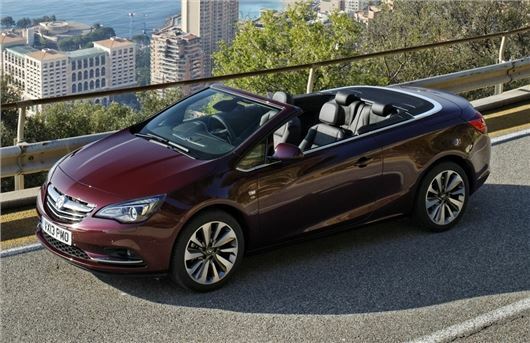 Vauxhall's recently launched Cascada convertible is being given a boost thanks to a new high performance version of the 1.6 turbo engine, which was launched at the Frankfurt Motor Show. Power has been upped to 200PS along with 300Nm of torque on overboost. The new engine will be available to order from October with the first models arriving early next year. It gets a six-speed manual gearbox and joins the existing 1.6 turbo engine with 170PS in the Cascada line-up. The performance model also gets Vauxhall's HiPerStrut front suspension designed, designed for better handling. Alongside the 1.6 turbo, the Cascada comes with a 140PS 1.4-litre turbo, a 2.0 CDTi diesel with 165PS or the top BiTurbo CDTi with 195PS. Vauxhall is planning to introduce 23 new models over the next fve years and this engine will doubtless feature across that range. In 2016 the firm is launching three new engine families and 13 new powertrains.